Vertical Gardening: How to Wall-Mount Plants and Make Every Room Better! What do you do when you run out of horizontal space for houseplants? Go up! A vertical garden made of wall-mounted plants is easier to put together than you might think, and we have a step-by-step tutorial to show you how to make your own. 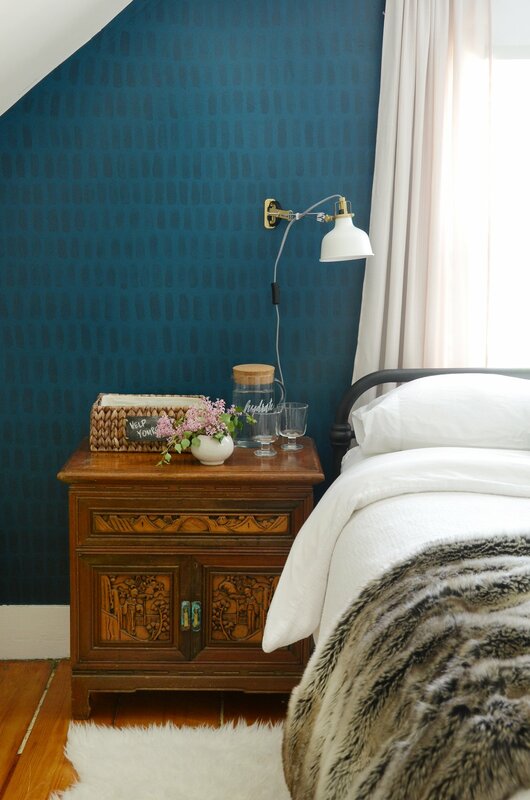 When I decided to give my guest room a makeover for the One Room Challenge, I knew it would be a great opportunity to create a cool accent wall. So once I finished the rest of the space, I dove into the final detail - a hand painted brushstroke accent wall using a slightly darker paint color. Expensive art isn't for everybody. Sometimes you just need a creative way to fill a large wall without breaking the bank. Don't get me wrong, I love hanging artwork on my walls... but I have some areas in my home that are just too large to fill with big, pricey paintings right now. So today I'm sharing lots of interesting wall decor ideas using everyday items you probably already have at home. Marbling is gorgeous on just about any surface. It's the perfect way to decorate your home, your clothes, your walls, your cakes, etc., so I decided to test out a new way to make beautiful marbled art with fluid painting. You can make abstract art with fluid painting techniques using any regular acrylic paint, glue and water, and each piece turns out completely unique. Grab your favorite colors that match your home decor, and you'll quickly have a piece of art to brighten your walls. Whether you're decorating your home with stand-alone frames or a gallery wall, you may begin to feel bored in a sea of plain white frames. I get it, they're my go-to choice too! Luckily, it's easy to makeover craft frames or plain white frames throughout your home to give it a more personalized look. 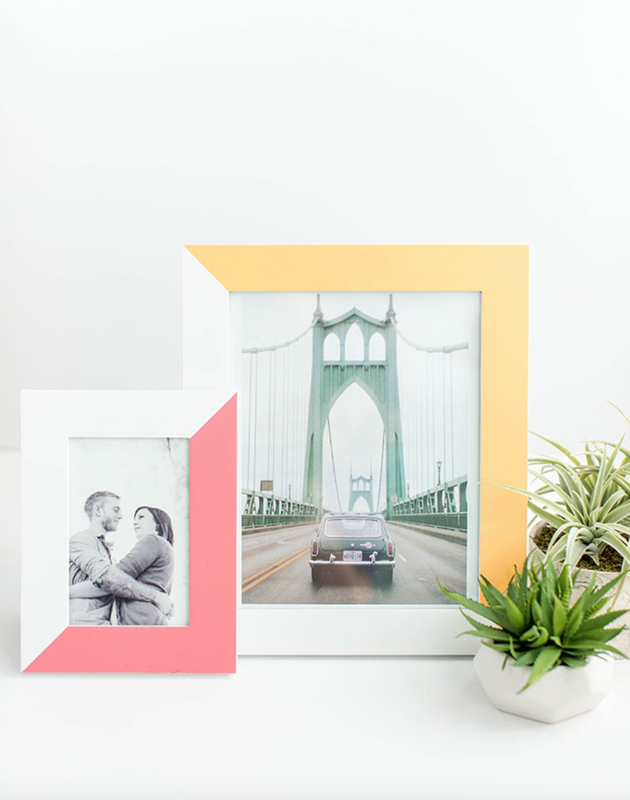 With these easy picture frame makeover ideas, you'll be able to make each frame feel unique - like it was made for the photo inside of it! Add color, texture and more with these simple makeover ideas that will give your home decor a touch of character. I have a hard time spending a lot of money on wall art. I feel horrible saying that. I got my Bachelor's degree in art, so I - of all people - totally understand the effort and talent that's required to create good art. Honestly, I'm just cheap. While I might occasionally splurge for a print or photo I really love, my home is hardly a museum. I can't afford to fill my walls top to bottom with one-of-a-kind art pieces. So yeah, I might be cheap, but I'm pretty dang thrifty, too! Whether it's sprucing up some existing wall art, or creating my own with found items, I can fill a wall for under $40. 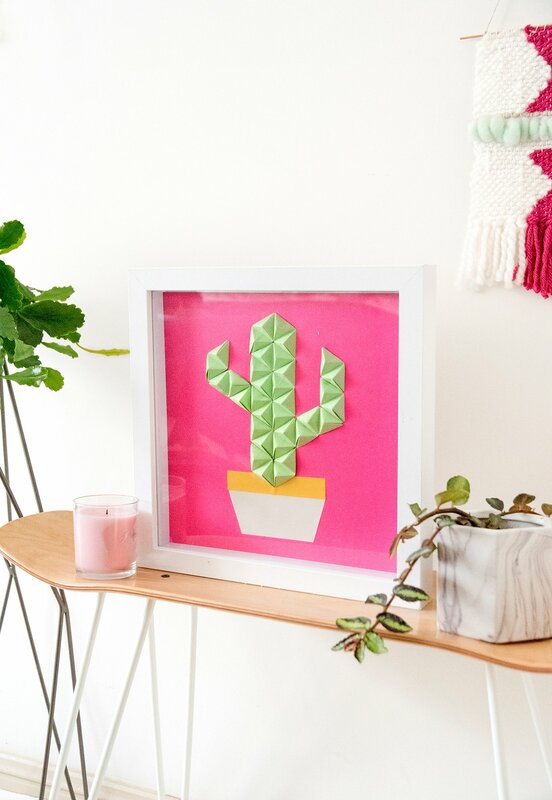 The best place to find forgotten and dirt-cheap wall decor is your local second-hand store (think Goodwill, Savers, Salvation Army, etc.). I set out to create a cheap gallery wall using only things I found at the thrift store, and here's how it worked out. If you're a renter who isn't allowed to paint, I'm with you. If you're too lazy to paint, I'm also with you. 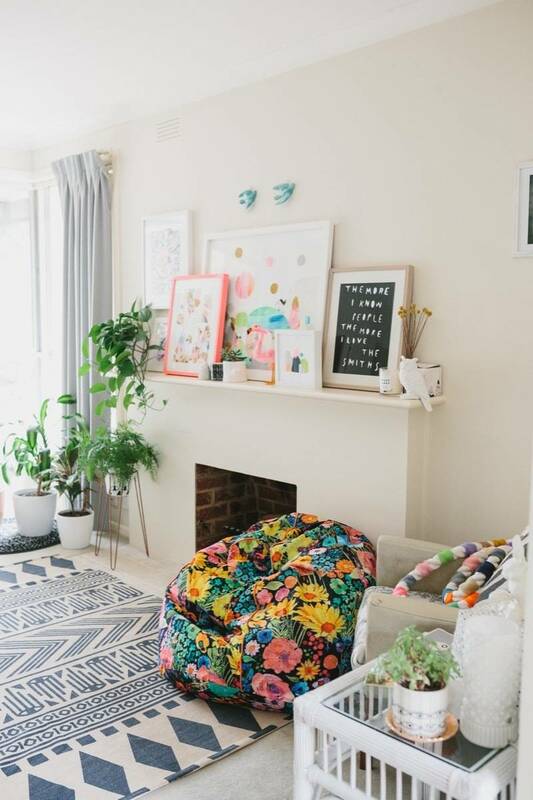 It's hard to make your home feel like "you" when you can't change your walls, but at least one renter-friendly way to change them is with vinyl decals! You've probably seen some versions of them in stores, but you can easily make your own custom wall decals at home with any type of adhesive vinyl without causing damage to your walls. Simply cut out shapes or use stencils or cutting machines to create more complex designs. I was inspired by 1980s Memphis designs to create a small accent wall in my bedroom with custom vinyl decals. One of the things I love about air plants - also known as tillandsia - is that they can be displayed in virtually unlimited ways. With soil out of the picture, an air plant can live in any container, on any ledge, in any opening, on any surface; they are one of the most versatile plants in terms of home decor. Which, for someone like me who loves crafting things, is the gift that keeps on giving. 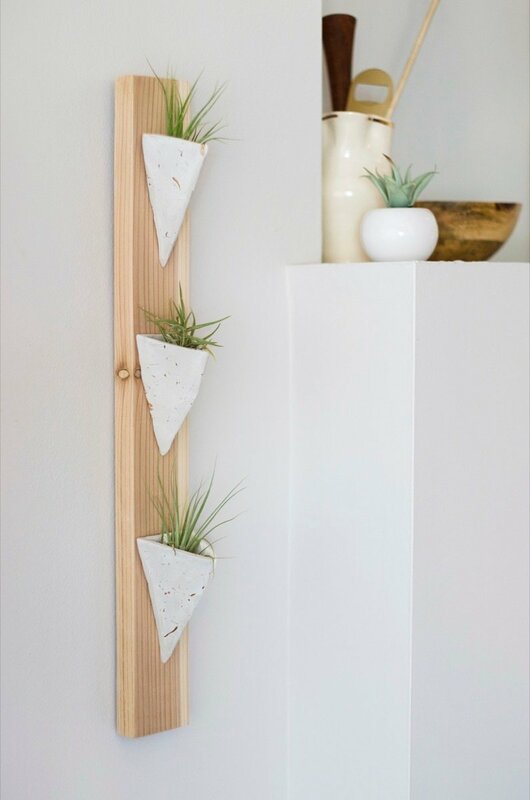 Looking to fill a bit of wall space, this wall-mounted air plant holder does the trick. Keep reading to see how easy it was to make!